Nate's Nonsense: Is Cold Weather the Father of Invention? Is is said that necessity is the mother of invention. If this is the case, cold weather must be the father. I was raised in rather warm climates. I never even saw snow until I took a trip in the fourth grade, so it's always been somewhat fascinating and exotic to me – perhaps this is why I loved reading about arctic explorers. Even now, I'm reading a book about a Norwegian expedition of 1893 to 1896 by Fridtjof Nansen, titled Farthest North. It's a fascinating tale about an early attempt to reach the North Pole. 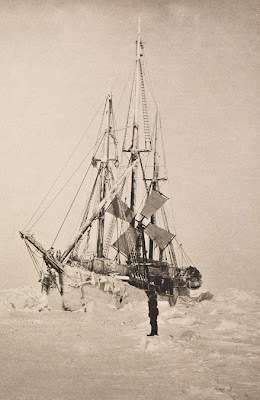 One of the things that fascinates me about arctic exploration is the wonderful ingenuity of many of these explorers – making do with so little and improvising all the time. 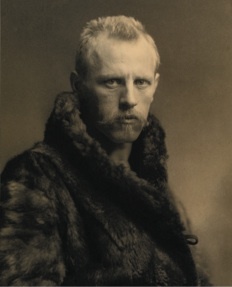 If you want to read Nansen's book, you can download it here in PDF vol.1 and PDF vol. 2 or EPUB. Perhaps it's my lack of familiarity with winter gear, but it seems as though there's always some new kind of snow gadget I notice when we head to the hills. Last year, the kids pointed out a snowball maker. We didn't get it, but I was curious how well it worked. It seemed to us as though your hands would pretty much to the same job, unless you needed a snow arsenal. I also noticed a unique snow shovel as I drove by, which I later discovered is called a Wovel. I had to look it up later as I only noticed it in passing as I was driving and kept thinking it was curious. 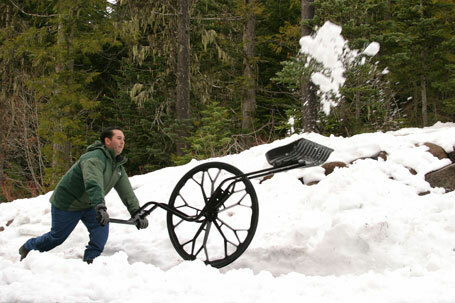 Any snow-bound individuals have experience with this contraption? And here's where it gets really strange. 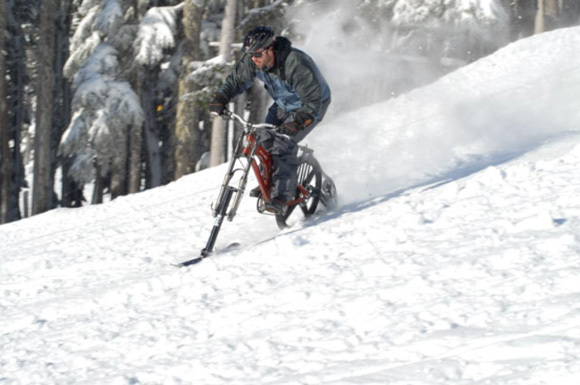 As I was trying to figure out what the Wovel (wheel shovel) even was, I came across some photos of a snow bicycle called a Ktrak! I don't know how fun a snow bicycle would be. The image above shows it going downhill, but I imagine it is more often used in a cross-country manner. 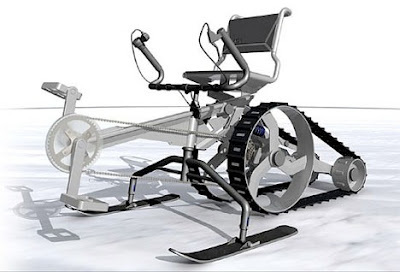 And here's where it gets really crazy, as I was searching for snow bicycles, I even found a recumbent snow bicycle (or maybe it's better called a quadricycle). So what do you think? Is it the harsh climate, cabin fever, or something else that causes all this creativity in colder climes? Looks like you could get things caught in the sno-ped's action real easy. 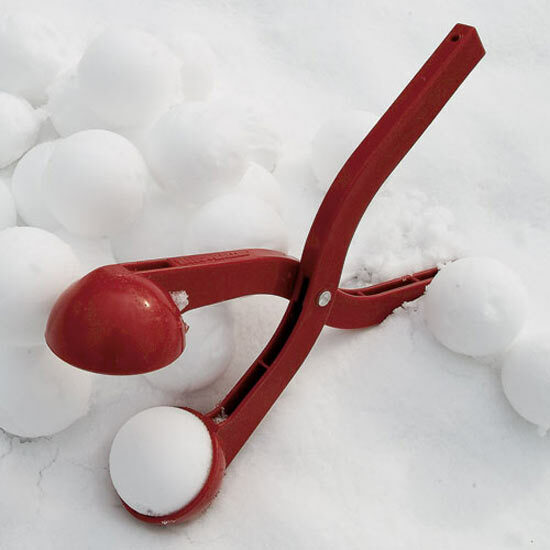 That sno-baller maker looks like it would be a lot nore works than using hands. If the snow is just right for making snowballs (moist) your mittens always get soaked after you've made a few. If the snow is dry, forget making snowballs. Ditto for snowmen. Such a shivering post! This tuesday, I'm going for sea sight and after reading your post I must wanna carry Weather measuring instruments for weather report with me.